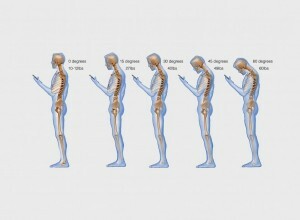 In the last two years we have had increasing numbers of patients presenting with neck problems as a direct result of copious hours of the neck bent forward staring at small screens whilst texting. This makes the muscles overwork to hold the head up against increasing gravitational pressure. Overdevelopment of the Cervical spine muscle causes the vertebrae to become compressed around the discs and can lead to irritation of the nerves to the arms and compression in the upper Cervical spine can lead to nausea, headaches and sinus issues. This article from the USA was recently published online and sums it all up very nicely.